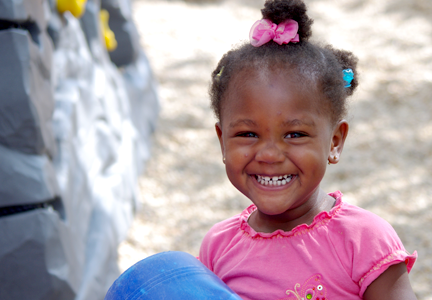 Koala-T-Kare is a state-licensed childcare facility serving children ages 2 weeks to 12 years. Set up as a corporate childcare center to provide childcare to employees of Qualtim, Koala-T-Kare is also thrilled to offer childcare to members of the entire Madison-area community. The mission of Koala-T-Kare is to provide quality childcare in a nurturing environment where your child will thrive. In February 2012, Koala-T-Kare became the first group child care center in Dane County to earn a 4-star rating with YoungStar’s Child Care Rating Program. In 2013 and 2014, Koala-T-Kare was pleased to earn Youngstar’s highest rating of 5 stars thanks to our teachers’ outstanding commitment to excellence. We then decided to pursue accreditation through the Association for Early Learning Leaders (NAC) and earned accreditation in 2015, continuing to maintain our 5-star rating through the Youngstar program. Your child's self-esteem is fostered and nurtured. Activities are age and developmentally appropriate. Polite manners and respectful behaviors are modeled. Childcare staff plays a supportive role to parents. We believe in providing care for the whole child, focusing on your child's social, physical, emotional, and intellectual growth. Housed in Qualtim’s building, parents working on-site play a big role in providing teachers with support and back-up, giving the children who come through our doors plenty of love and wonderful care. Building a community of well adjusted children requires lots of communication. At Koala-T-Kare, we welcome and encourage open communication between parents and staff. Our goal is to be the supporting role in a partnership of caring for your child. Please let us know if you have any questions, comments and/or concerns by contacting our staff, via phone or e-mail.